Transform your dining area by learning how to build a rustic DIY farmhouse table. Easily modify these farmhouse kitchen table plans to meet your needs. Farmhouse tables…..they just scream home, family dinners, and nostalgia all in one. Just about everyone loves farmhouse tables. I definitely fall into that camp, since I actually have one along with a built-in bench in my dining room. The best part is that do-it-yourself farmhouse tables are pretty simple to make and can be relatively inexpensive too. You don’t even have to buy the wood- you can use salvaged and reclaimed pieces. I think farmhouse tables are so beloved because of their versatility. Most rustic farmhouse table plans (like these) are fairly simple to modify so you can create the table that best fits your needs. Whether you need the table to be longer, shorter or wider – it’s really as simple as removing a board and adjusting a few cuts based upon your modifications. Win With Kroger Feedback Survey Today! The tables can also be customized with your choice of stain, trim, and seating. If you’re especially crafty you can get creative with built in drawers, storage options, or even decorative trim using a Dremel. So gather your tools, your love of all things rustic, and let’s get to building the DIY farmhouse table of your dreams. You have quite a few options when it comes to the design of the farm table legs. If you’re looking for simple, clean lines, just cut the legs to length and use the 4x4s square. It’s as simple as that. Of course, some prefer style over simple. You also have the option to taper the two inside surfaces or you can choose to taper all four surfaces. The design pictured tapers all 4 sides using a band saw. The cut line begins 4″ from the top and removes 1/2″ at the bottom. You can also choose to use levelers on the farm table legs to keep the wobbles out as pictured here. Most table saws cannot cut a leg this thick without making at least 2 passes, so you should taper them using a band saw. This will leave a rougher finish which perfectly suits this rustic table. Use a jig with a runner so it can slide along the miter track of the band saw table. You can fashion one yourself using scrap wood. Two hold downs will secure the leg to the jig. You’ll want to make sure to line up your mark on the bottom of the leg with the edge of the jig before clamping. If using salvaged wood for this project, we suggest leaving the imperfections in the wood. It’s a rustic table and should reflect that so keep your pock marks, screw holes, and old paint. It just adds character! Sanding the legs with 100 & 150 grit sandpaper will smooth them without removing all the saw marks. For added character, add a coat of chalk paint and 2 coats of clear Briwax. The Briwax will yellow the finish and help give the paint an aged look. You can then sand the paint to distress it and show wear. There are also some great ideas on distressing wood using chains or paint techniques out there. Pro Tip: Salvaged wood can come from many sources – keep an eye out for people getting rid of furniture or tearing down old barns, sheds, windows, or even doors. Many times it just takes a little creative genius and a few precise cuts to give this wood new life. Craigslist, FreeCycle, and Facebook groups are great resources for tracking down free wood. Plus, you can always just keep an eye on the curb before trash pickup. Step 2 – Get Your Aprons and Start Cooking! Table aprons or table skirts make up the sides of the table base and connect the legs. For this table, they will be 3 1/2″ wide and 22 1/4″ long across the ends and 62″ long down the sides. To create a 34×72 inch table using 4×4 legs, the legs will end up inset about 2”. The table top is attached to the apron using metal clips with a kerf cut in for the clips in the back of the aprons. Pro Tip: Wood has a tendency to expand and contract with moisture and use. You need to make sure that your design allows for this or you’ll end up with a table that is split and cracked along the top. It’s also important to consider your wood choice when designing a table to allow for this – use kiln dried wood and harder, sturdier boards like aspen pine. Clips also let the tabletop expand and contract, thus the reasoning for using them. Now we’re going to create the table base. First you’ll want to make a spacer using two pieces of plywood. This will allow you to not only keep your distances uniform but it will also secure the legs to the apron when you’re attaching them. Your inset should be about ¾”. Use a Kreg pocket hole jig to create 3 holes on each apron end. Secure using 2 1/2″ pocket screws. Attach the short ends first followed by the remainder of the table base. Take care to make sure the kerf is positioned along the top edge so you’ll be able to attach the metal clips. Pro tip: For added stability you’ll want to add at least one board along the middle of your base. We actually suggest placing three spaced out in regular intervals to keep the table from bowing. This is where that salvaged wood you found can really shine. Maybe it’s some gorgeous barn siding you’ve managed to come across or possibly flooring from a great old home. Whatever your table top will be – even if it’s board from the hardware store that you’ve distressed – it’s going to look amazing! Use pocket screws to fasten the table top together after applying glue to the edges. Using a straight edge clamp along with a circular saw, you can trim the edges as needed. You can use painters tape on the surface to minimize wood splintering from the saw. Once your cuts are made you’ll want to double check that the table is square. This can be done by comparing the diagonal measurements across the top. They should be equal. What do you do if your wood is cracked in some places? You have options – you can try to stabilize the wood using glue and clamps or you can cut out the damaged piece and place an inlay of contrasting wood instead. This creates those patchwork style table tops that are just beautiful. Now that you’ve assembled your table, it’s time to finish it off. You can paint it, stain it, or just seal and wax it. The choice is yours. This tutorial seals all surfaces of the table to minimize any warping from expansions. It also just gives it all a great shine. Sand the entire table first using an orbital sander where possible. Once you’ve sanded the table and blown it off, you can apply sealer in various shades. Finally, top it off by coating with at least two coats of wax. 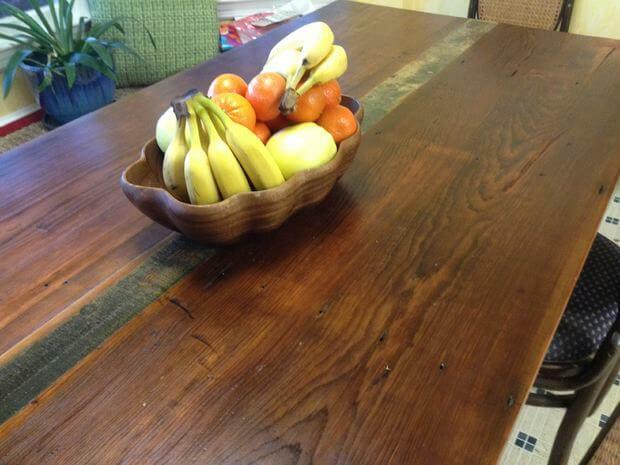 Pro Tip: To give your rustic farmtable a modern twist – consider using an epoxy sealer on top. It will create an almost glass like finish and it’s a pretty simple pour and set process. When using any of the techniques mentioned here make sure you’re in a well ventilated area – you don’t want to pass out while making a family heirloom! This tutorial, including images, is published with generous permission by kentdvm. Now that you have learned how to build a farmhouse table – check out some of the matching ideas that are available out there. Benches, window seats, console tables and outdoor furniture too! We hope you enjoyed this tutorial and feel confident to go out and make your own farmhouse table. They really are a great addition to any home. There just isn’t much that compares to having a piece of furniture you built that your entire family can gather around and enjoy. Be sure to leave us a comment letting us know how your build went and share the article with your friends as well. Don’t forget that we love to see and share pictures of your projects as well. 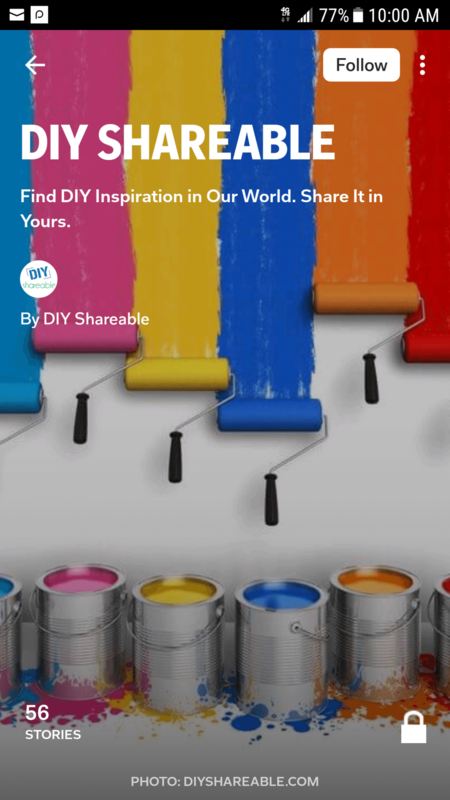 So show off your talents and you just might be our next DIY post!